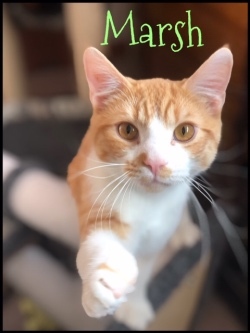 Looking for a family ready and friendly kitty? Marsh is a sweet guy, born May of 2018. He's a short hair orange and white young guy who emerged from a grassy field at a local park. Meowing for help, he ran right over to people walking their dogs (lucky for him, they were cat friendly dogs), and was carried for the walk back to the car. Easy to say this guy is dog friendly, loves other cats and all humans. He was very thin and had to put on a few pounds and get his GI system accustomed to regular meals again. 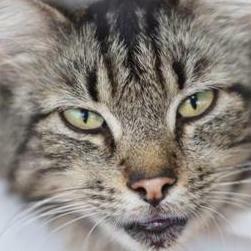 Marsh loves to be cuddled, is calm for his age, and loves the companionship of other kitties. If you are interested in meeting or adopting Marsh, please contact his foster, Nancy at nancy@teamhumane.org or 419-450-8581. Follow us on Instagram at PlannedPethoodToledo, and on Facebook at Planned Pethood, Inc.